In DbFace, you can create variables from SQL query, i.e. Total payments of current month. 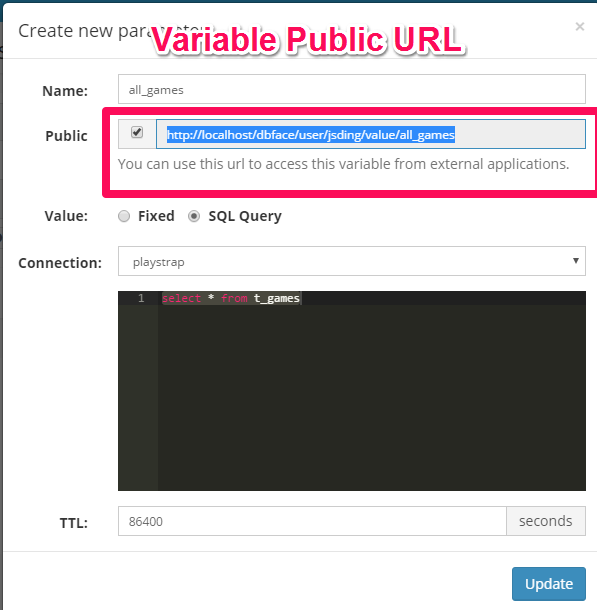 You can simply public the variable and allow to access from external webpage via JQuery. The value might be string or json value depends it's value.